Renovating a house can be quite demanding in terms of money, time, and effort. There are a few common mistakes that most renovators make, that can prove very costly at the end of the day. 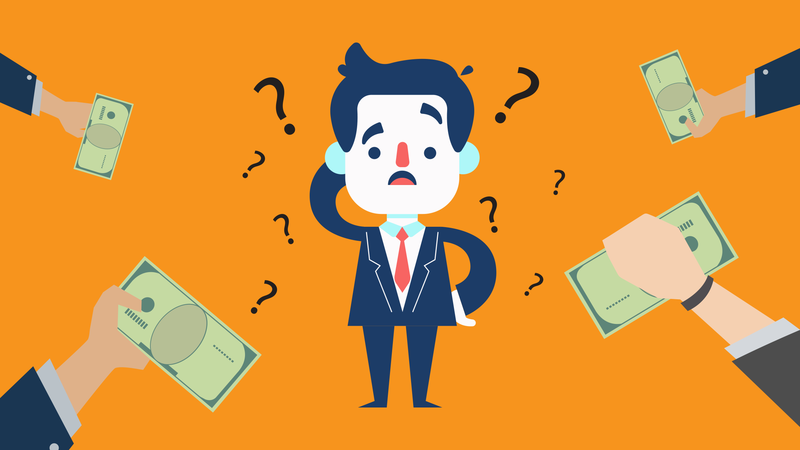 Here is how you can avoid these mistakes. Plan well before you begin the project. Do a lot of research, read plenty of books, and talk to people who have already renovated their houses. You might end up spending hours chalking out the last detail of the plan, but it’ll be worth the time and effort. If you do not have the time or interest to get things done yourself, hiring a professional would be a smart choice. One of the most basic home renovation tips is to make sure that you take accurate measurements. You spend a lot of money, time, and effort on a home renovation project. Invest in quality measuring tools in order to avoid mistakes that will make you hate your renovated house. Also, be serious about taking accurate measurements, as even small discrepancies can result in drastic changes in the final outcome. While interiors are free from legal scrutiny, huge external projects often require legal permission. 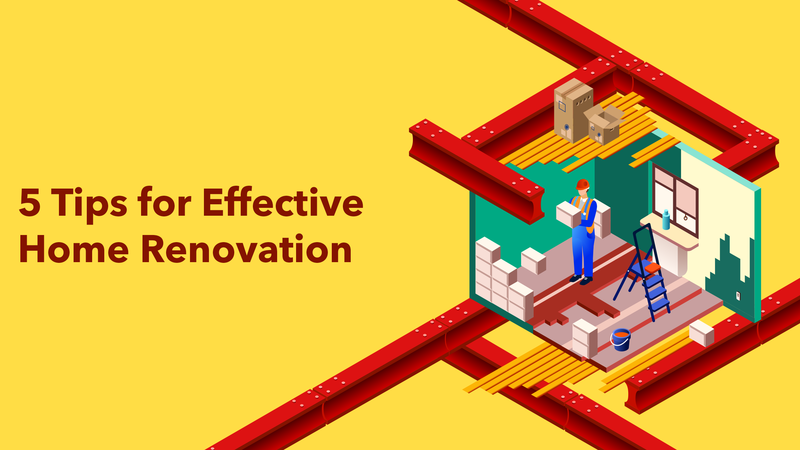 Be on the safe side and avoid unnecessary fines and legal fees by getting all the necessary permissions for the renovation plan. Do keep in mind that your house insurance will not cover damages or injury if you go ahead without required permissions. Although it might be very tempting, cutting corners to save money may put your home and yourself at serious risk. High-quality materials are more durable, and hence more expensive. Save yourself the trouble and future expense of frequent repairs by going for good quality products. The same applies to the labour, interior designer, or engineer you’ll be hiring. Go for the best that you can afford at the moment. If not, wait until you have enough funds. A common mistake that most renovators make is to plan big and go over the top in their home renovation efforts. Be realistic and factor in your finances, abilities, and resources. It might be a better idea to work on smaller sections than to renovate the entire house at once. Running out of cash, time or interest midway will only leave you with a poorly renovated house. Make sure you follow these basic home renovation tips to avoid costly mistakes. The golden rule is to plan well and know what you are getting into before you pick up that hammer or paint brush. It’s that time of the year! For the next nine nights, most Apartment Complexes will be full of lights, colourful outfits and catchy beats that nobody can resist: it’s Navratri! Most people come out of their houses to participate in the Garba and Dandiya that’s held within the complex. Naturally, there are visitors from outside your immediate community who come to enjoy the festivities. 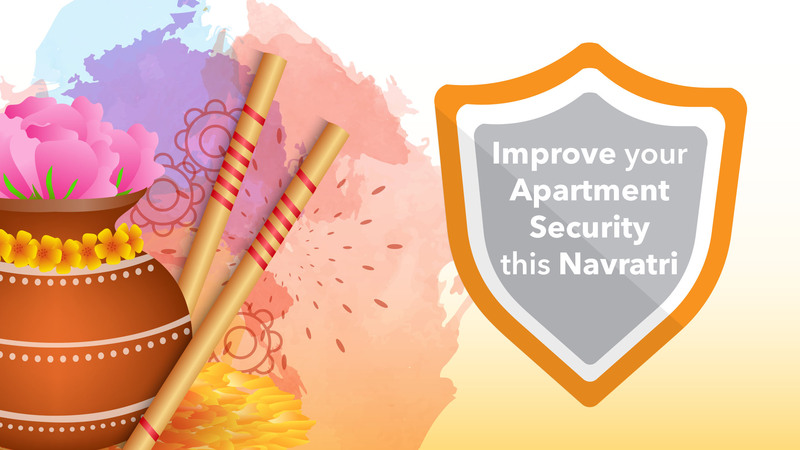 So, during the Navratri festival, security measures need to be tightened in every housing society for internal safety. Prior to the commencement of the Navratri festival, a complete identity check of all guards should be conducted. A photograph of those working within the housing society should be recorded and kept handy. Record the entry of every visitor along with the name of the people they are visiting. Allow any visitor only after verifying with residents. Cars allowed inside the gate should be given a parking sticker to be displayed the whole time it is within the complex. Install CCTV cameras to monitor the entire complex thoroughly. The names of all the caterers, technicians and entertainers hired for the event should be recorded and their identity, verified. This dance event commences in the night and continues till the wee hours of the morning, so it is all the more necessary to provide proper security during this festival. ApnaComplex can help you ease your security concerns. 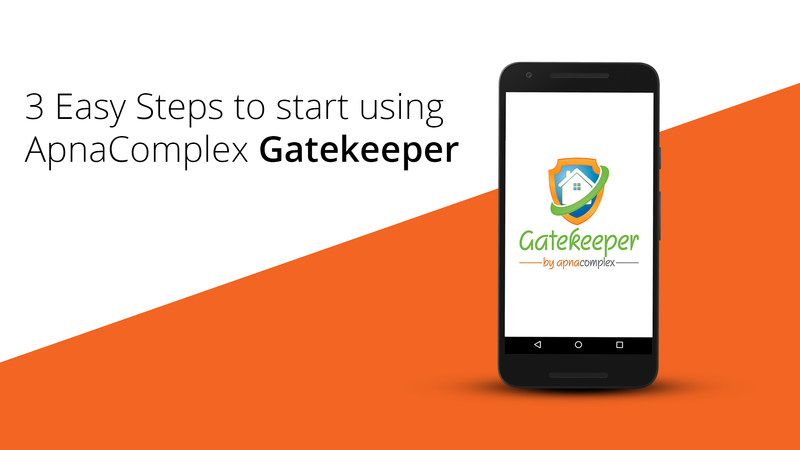 With products like Gatekeeper and Vehicle Sentry at your disposal, you can make security during this Navratri easy and efficient. Garage sales are usually a great way to foster community bonding. Neighbours can get together to set up stalls and buy and sell household clutter that may be handy to someone else. Setting up stalls in the common areas or basements is a fun way to spend a weekend together. In India, household items are often used to their absolute demise, at the end of which they are completely unusable. So, naturally, garage sales are typically not quite as popular. But with festivals like Dussehra and Diwali around the corner, most families should be gearing up for a home makeover. Typically this involves repainting the walls, changing the upholstery and a good top to bottom cleaning. This is the perfect time to fish out items that are not in use. Garage Sales are built on the premise that one man’s trash is another man’s treasure. Anything from clothes, books, unused furniture, utensils, is fair game. This clutter can usually be found under beds, inside storage units, out on the balcony, in the storeroom, or on the terrace. The general rule of thumb of cleaning is to pick out things that have not been used in about three years. Based on the condition and years of use, slash the prices of every item by 50 to 75%. Put price tags on all the products. It would also help if you put down the original price next to the selling price. Check online stores to check the current prices of similar products. Your customers are more likely to buy your products if you make them look presentable. Make sure all your items are clean and dust-free. Set up tables and stools to place your products on. If you’re selling clothes, put them on hangers or fold them up neatly. Make sure everything is visible and ready for easy perusal. Keep a register or notepad handy to track your sales easily. Also, remember to keep plenty of change on hand. This makes transactions simpler. Garage Sales are a fun way to bring the entire society together. It can be turned into a community event by setting up a number of stalls and turning it into a temporary mini market. Not only can you sell old used products, but artists and chefs can set up stalls for their homemade masterpieces. Involve children into the mix and help them set up a mini-games stall. It can be a fun learning experience in entrepreneurship and quite frankly, practical maths. Many of us usually donate used items to charity or to the needy. However, quite often these items go unused even in the charity. There are either no takers for that particular item or the product is totally unusable. Monetary donations are a preferred option. So take the money raised in your sale, (in part or whole) and donate it to a good cause of your choice. Not only will your apartment complex have fun, but you could bring a smile to somebody in need. With the season of goodwill just around the bend, why not give this a go? 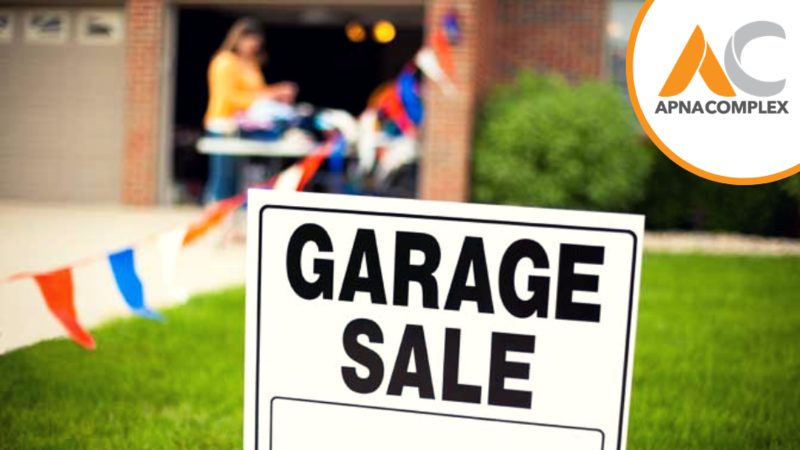 ApnaComplex provides the perfect tools to help you organize the Garage Sales. Conduct a survey to gather other interested people, create a separate group and start a new discussion. Collaboration has never been simpler! 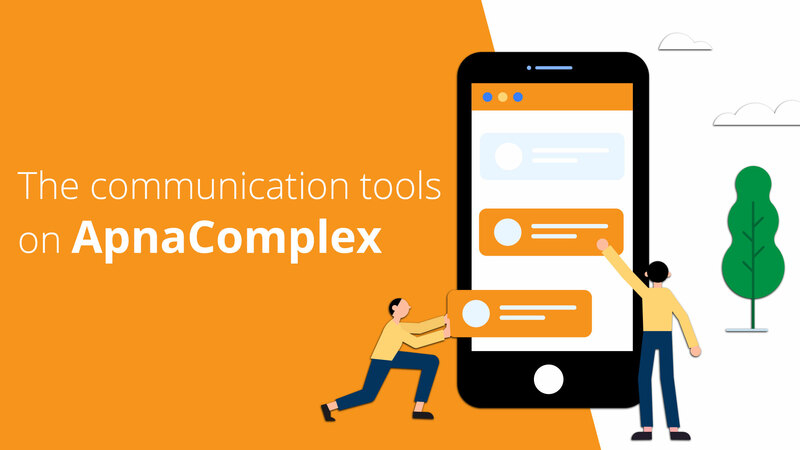 Community Collaboration: The Communication Tools on ApnaComplex. ApnaComplex has always tried its best to offer the best possible facilities and tools to its users. Communication gap has always been a problem in most of the apartments. There is a lack of an effective communication system among the committee members or between the apartment management committee members and residents. Understanding this gap, ApnaComplex offers various communication tools to its users for their convenience. The notice board is a foolproof way to get a message across to all or particular residents. The message can be sent through the App, or even by email or SMS. It also reaches numbers that are on DND. While sending out the notice you can even attach relevant files or documents. The forums allow you to start or join in discussions with fellow residents. You can access all the past and ongoing discussions easily. However, if you choose, you can restrict access to certain discussions to a few residents like committee members. All your society-related discussions will be easily available in one place. You can create polls and surveys to take the opinions of the residents. The polls can be customised to be accessible to either certain residents or all of them. You can customise it further to make it multiple choice, rating system, and with an option to respond anonymously! It is all up to you. You can even create groups or clubs within the society. Start a discussion board for your sub-committee (or even hobby clubs!) with all the relevant documents and a complete mailing list. Connecting with your neighbours has never been easier! Share photos and create albums within your community. Photos of your community events should now be easily available to all the residents easily. Keep your important documents handy. Upload and share useful documents like bye-laws, dos and don’ts, lease agreements under tags and categories. Again, this too is customizable to who can view and access each of the documents. Create a hub for your society. Share information, publish articles and tips, collaborate with other residents and much, much more. allow all your residents to contribute to the same. Create a one-stop information centre for all things related to your society. Here at ApnaComplex, we understand that a housing society is a close-knit community. What is a community without communication? As such, these tools are always at your disposal. Now you can know and collaborate with all your neighbours with ease! Roads are absolutely necessary for every apartment complex. They are used for easy commuting and also add an element of beauty to the society. But all of it becomes null if the roads are damaged or unusable. It is important to keep the roads in top condition so as to not hamper the daily life within your gates. What is the need for maintenance? Roads that are in regular use often end up riddled with potholes and wear-and-tear. This can be avoided if they are subjected to regular maintenance. 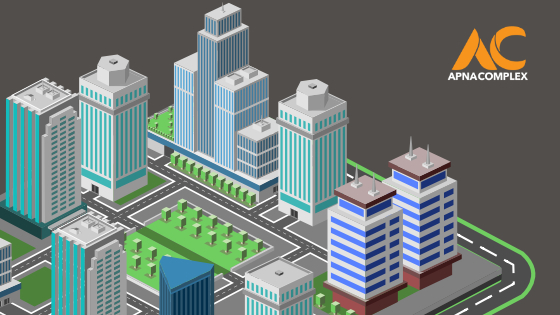 Not only is it more cost efficient, but well-maintained roads also increase the property value of the entire complex. In order to ensure that the roads are properly maintained, take up the issue with the apartment association during resident body meetings. While residents can take small steps in order to contribute, the apartment association can get the maintenance team to do the difficult tasks. What are the types of problems? 1) Cracks: Cracks may form on the surface either due to repeated use or due to environmental degradation. Fatigue cracks occur due to the added effects of wheel loads. Environmental cracking develops in asphalt as it ages and is subjected to everyday temperature changes. These cracks are very small when compared to fatigue cracks Water and dirt should be prevented from entering cracks as they might grow worse this way. 2) Surface Wear: Wear on the surface mainly occurs due to tire wear and material degradation (ravelling). Its maintenance includes removing the surface and/or covering up the surface which is worn. Surface treatment depends on the severity of the surface wear. 3) Rutting: This signifies permanent degradation in the layers of the road. This can happen if the structure design is improper or if the roads are overloaded. It can also happen if the surface layer is of poor quality. 4) Potholes: Pits or holes produced by wear or weathering on the road surfaces can be fixed through surface treatments. What are the maintenance measures? The roads in an apartment complex undergo a lot of destructive changes. The apartment association will have to take on different approaches based on the problem involved. Firstly, residents should be constantly updated about the need to maintain roads by the apartment association. Littering on roads should be strictly prohibited and waste bins should be provided for this purpose. Stagnant bodies of water should be immediately cleared, especially after rain and the roads should be swept regularly by the maintenance crew. Crack sealing is a process that’s followed in order to maintain roads and surface treatment can be done in order to prolong the life of the particular road. This treatment measures should be taken up by professionals, who can be hired by the apartment association. A lot of factors affect the type of maintenance undertaken within the housing complex. These include the type of distress, vehicle loading, the general climate in the region, the cost of treatment; the roads expected life, the existing road type, and availability of good materials. Residents can help maintain the quality of roads within the apartment complex by giving regular feedback on their defects to the management as well as bearing with the inconvenience caused during the repair of the roads. Thankfully technology can add a touch of convenience while undertaking this task. ApnaComplex provides an integrated society management solution that can help you easily communicate with your fellow residents. Residents can use the Helpdesk feature to notify the committee of any defects that may need attention. On the other hand, committee members can use the ApnaComplex forums to raise notices that can be sent out to all the residents to keep them well-informed of the progress. Planning an auspicious beginning in your life or any new business? This 13th September bring Lord Ganesha home! It is believed, if you place Lord Ganesha in the right place, he takes away all your problems in life. Instead as a blessing, he gives you good luck, wisdom and prosperity! 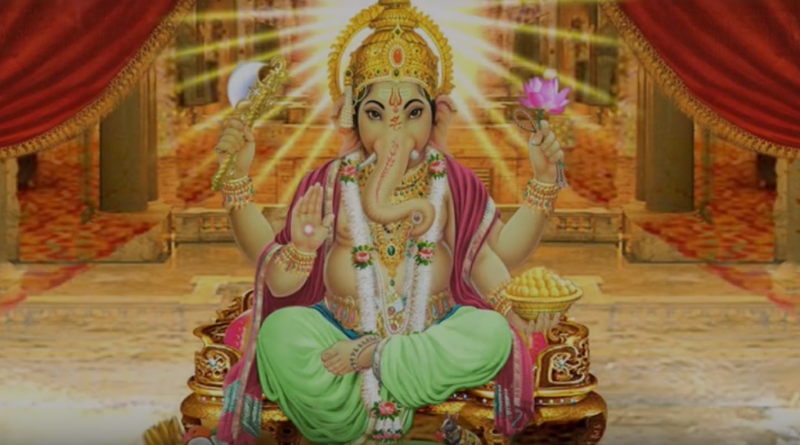 Learn the correct and auspicious pooja time, date, rules and right placement of Lord Ganesha. No Comments InApartment Festivals Ganesh Chaturdhi How do I...? Almost every home has an area designated as “the home office” or simply, “the study.” Often these areas double as storerooms. However, with the recent rise in usage of work-from-home (WFH) option, it has become extremely important to have a workspace that is comfortable and free from distractions. So if you are looking to redo your study to enable productive WFH, here are 7 tips to help improve the space. Whether you’re working from home, or simply a student, we hope these tips help create a stress-free environment. The first thing that needs to go is unnecessary clutter that you may have lying around. Your office space should follow the minimal style for interior decor. Anything that doesn’t directly contribute to your work needs to go. Also, remember to keep a dustbin next to your desk for all those balled up papers or pencil shavings. Remember to keep your workspace well lit and ventilated. Whenever possible, let the daylight stream in. However, if this is not an available option, make sure you have a bright table lamp. If you spend a lot of time at your desk, uncomfortable furniture is a big no-no as this puts a lot of strain on your back muscles. Invest in a good chair which supports your back adequately. Supplement it with cushions and a footrest. When you’re sitting at the desk, make sure the height of the desk reaches your chest. This will reduce the strain on your body. Make sure there is a clock that is easily visible from your seat. Not only will this help you manage your time, it also will remind you to take breaks while you work. According to psychology, it is important to take a short 5-10 minute break after every 40 minutes of continuous mental effort. Consider placing a potted plant nearby. Plants make a room look welcoming. They also have a mild detoxification effect on the room. Consider placing sweet-smelling herbs around the room. This can also help reduce stress. It may be a good idea to soundproof the room. Background noise, by common knowledge, hampers performance. So if you live in a very noisy neighbourhood, it may help to block it all out. Colours have a way of influencing our mind and body. For a study, always go for light, cool colours. These colours and soothing and stimulating to the brain. Hang up artwork that uses blues, greens and purples. As for the furniture, opt for light wood. This too helps to reduce stress. 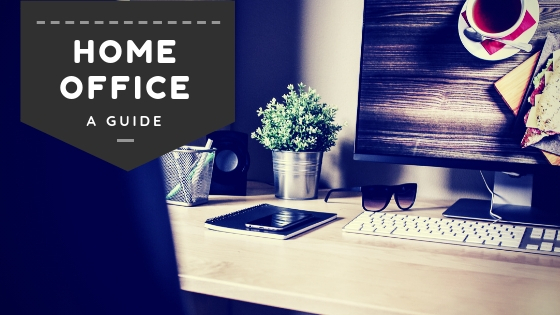 A home office should ideally, help you feel relaxed and yet motivated to work. This space should also improve your efficiency rather than hamper it. We hope these tips help you do just that! Happy redecorating! No Comments InApartment Apartment Management Home Decor Home Improvement How do I...? 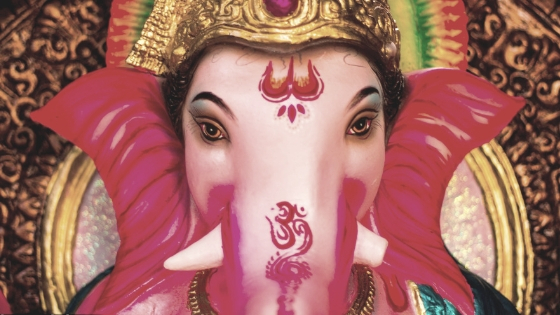 Ganesh Chaturthi celebrations are held in every housing society annually in order to honour the birth of Lord Ganesh. This festival encompasses a variety of cultural events that have deep-rooted religious meanings, which bring people together and enhance their sense of oneness. You can make arrangements to celebrate the festival in your housing society, in order to bring together all residents. This can take an immense amount of time and effort since celebrations for Ganesh Chaturthi are very elaborate and done on a grand scale. Ensure that you bring up the idea during a resident meeting so that you can get help from other residents and delegate duties effectively. Most housing societies usually arrange idols of Lord Ganesh to be placed in the common area. This is usually the crux of the celebration. The idol can be placed in a central location so that it is easily accessible to all residents within the society. Be wary of the direction the idol is meant to face. Instead of having scores of people from the housing society immersing idols all over the city, the housing society management can organize a local area where the residents can collectively gather, celebrate and finish off the festivities. The management can have a small artificial tank constructed within the compound to be used for this purpose. Sweets are the main part of this festival. You can take some initiative and encourage all families to make sweets at home. You can do this during the resident meetings. This will not only help them save on money and resources but also ensures less wastage. Such sweets are healthier and also bring the housing society residents closer during the festival. Most modern children aren’t completely aware of the significance of Ganesh Chaturthi or about the various rituals that are performed. The best way to create awareness is art. Put up plays or dances depicting the scenes that relate to the festival. Also, why not try screening a themed movie for your residents? You can even host competitions for storytelling, poetry recitation, drawing, or rangoli. Festivals that are largely popular often damage the environment. Why not take the initiative to go green this Chaturthi? The first thing to do is to ensure your idol is made of clay instead of POP or plastic. Clay idols dissolve in water when immersed and do not affect marine life too heavily. Make sure your idols are also painted with non-toxic colours. The housing society management must strive to ensure that every family limits itself by having only one idol for immersion. Reduce the use of firecrackers and loudspeakers. These are some of the biggest causes of pollution during festivals. Lastly, remember to organise a clean-up drive at the end of the festivities. Proper disposal of the garbage, both biodegradable and recyclables, can go a long way in contributing to an environment-friendly festival. Celebrating such an important festival on a common stage can be a fun experience for everyone, especially the children. Once you delegate all the necessary tasks to specific members through the housing society management, you can enjoy a splendid Ganesh Chaturthi with your family and the entire community.